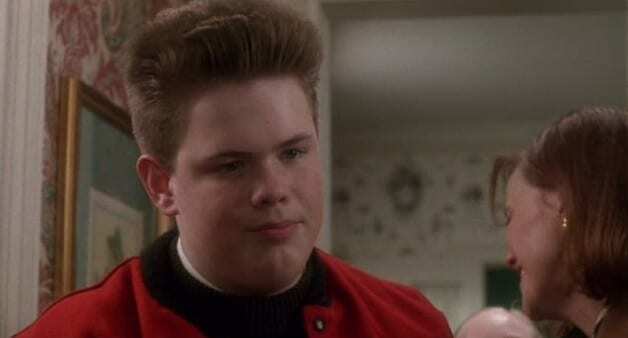 Buzz McCallister loved to pick on little brother, Kevin, before their big trip out of town over Christmas. Besides saying some pretty heartless things to his younger brother, he liked to get him in trouble for things he never even did. Buzz was essentially the brother we are happy we never had. 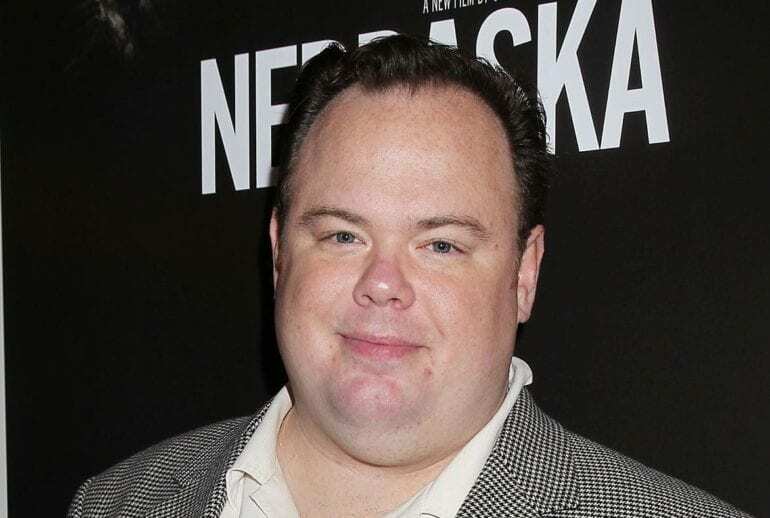 Actor Devin Ratray, who played Buzz, has gone on to act in some pretty interesting and respected roles, such as, Denis the Menace, The Prince and Me, Breaking Point, The Good Wife, Blue Ruin, Nebraska, and Agent Carter. 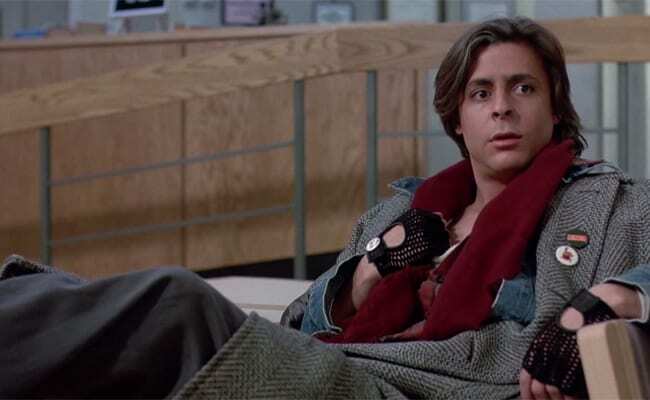 John Bender was the bad boy of The Breakfast Club. He was that kid in high school who was always in detention and didn’t seem to care. He liked giving wedgies to the smaller built students and reign terror among the week. The Breakfast Club was one of Judd’s first films, back in 1985. Since then he has had one long list of credits to his name. He is known for his role in St. Elmo’s Fire, Suddenly Susan, Jay and Silent Bob Strike Back, and most recently, his role as Billy Beretti in Empire. 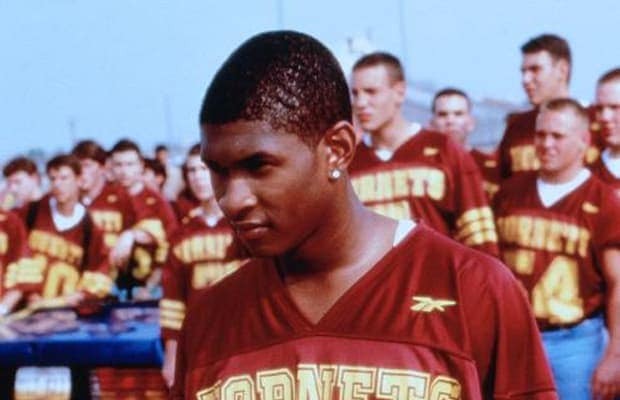 In the 1998 film, The Faculty, Usher Raymond played the role of bully Gabe Santora. Gabe was the captain of the football team and was one of the first to be infected by the aliens that seemed to have infiltrated the campus. His mission, other than being mean, was to infect everybody else. 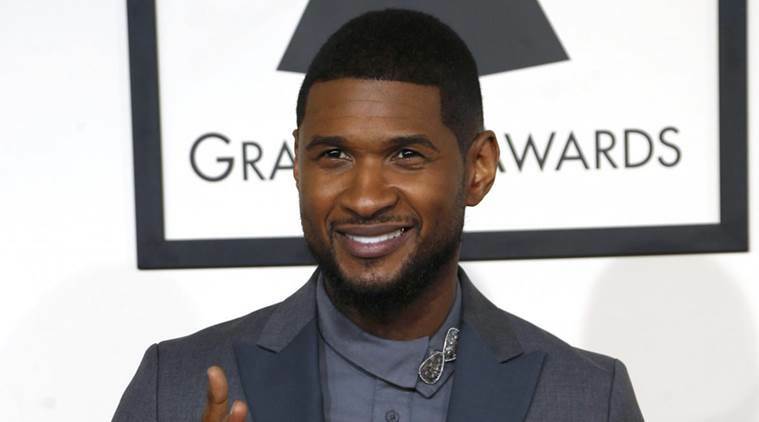 Since the film, Usher has transitioned fully into a super successful musical career. He currently has eight studio albums and has been on multiple national and international tours. He hasn’t stopped acting either, he has been in films like Texas Rangers, Killers, Scary Movie 5, and Hands of Stone. Seth Devlin was a character in the 2001 film, Donnie Darko. Devin was a funny and not very successful bully, but he gave it his all so we have to give him credit for trying. His sidekick in bullying is none other than another funny man – Seth Rogan. The two try to make fun of anyone who is different than them, and fail miserably most of the time. Alex Greenwald, who landed the role of Seth is much more than an actor these days. Greenwald is first and foremost a musician, specifically being the lead singer of the rock band, Phantom Planet. He is also a part of another band, called JJAMZ at first and later changed to Phases. 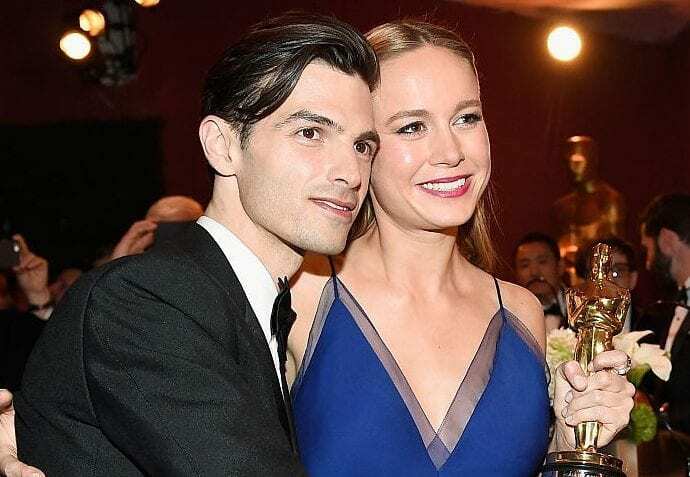 Alex is also engaged to actress Brie Larson! In 1996, the film, The Craft, was released. The four main characters were all picked on initially, until they got magical powers. Nancy took her powers to another level and turned against everyone basically. So the victim became the bully, who was sadly defeated by her own ego. Actress, Fairuza Balk, played the role of Nancy brilliantly. Since The Craft, she has been in both film and television. 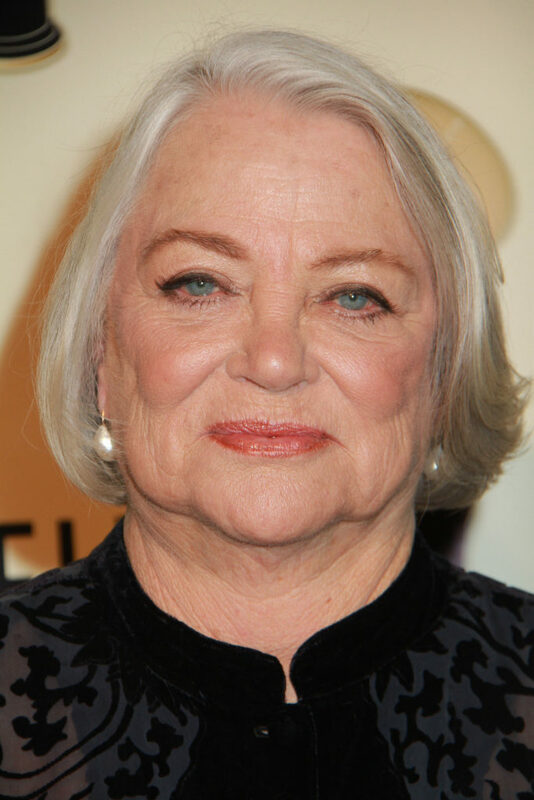 Her most notable roles have been in, The Waterboy, Almost Famous, Humboldt County, The Sopranos, Justice League, and Ray Donovan. Reese Witherspoon played the role of Tracy Flick, in the 1999 film, Election. Flick is an over-achieving high school student with her heart set on becoming student body president, no matter who stands in her way, and she certainly did – between tearing down posters to ruining her teachers marriage, she really did a number on people. Reese Witherspoon has since played upbeat, dramatic, and highly acclaimed roles. She has been in films like Legally Blonde, Wild, Walk the Line, This Means War, Water for Elephants, Devil’s Knot, and most recently she has entered the television world with the show, Big Little Lies. 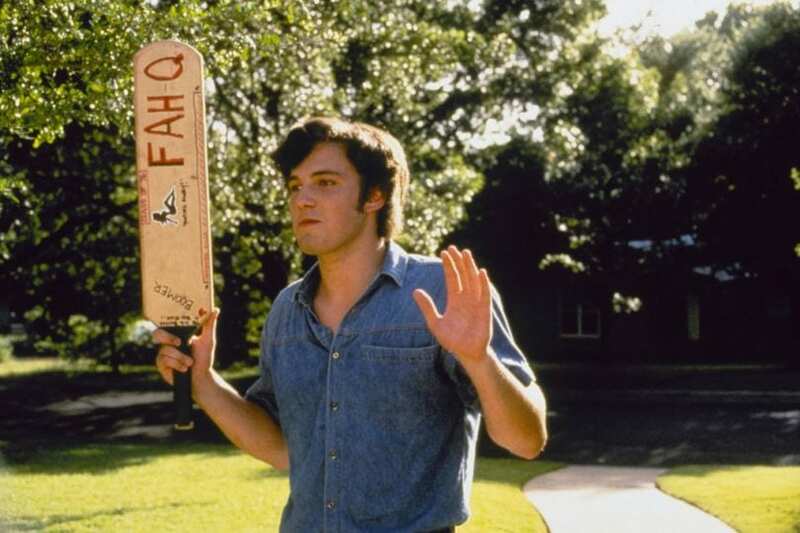 In the 1993 film, Dazed and Confused, the character of Fred O’Bannion is one man you don’t want to mess with. Using his cricket paddle to reign terror within his community, his fraternity hazing techniques were horrific at best. 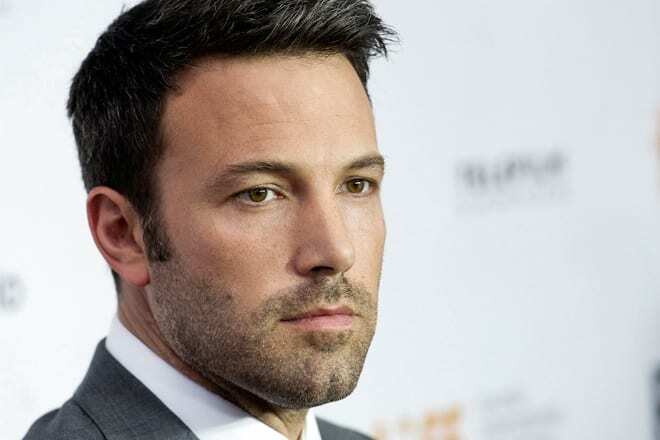 Ben Affleck, who played the role of Fred, is now a very successful writer, producer and director, in addition to his acting credits. His credits include, Good Will Hunting, Argo, Gone Girl, The Accountant, Hollywoodland, Daredevil, and Armageddon. 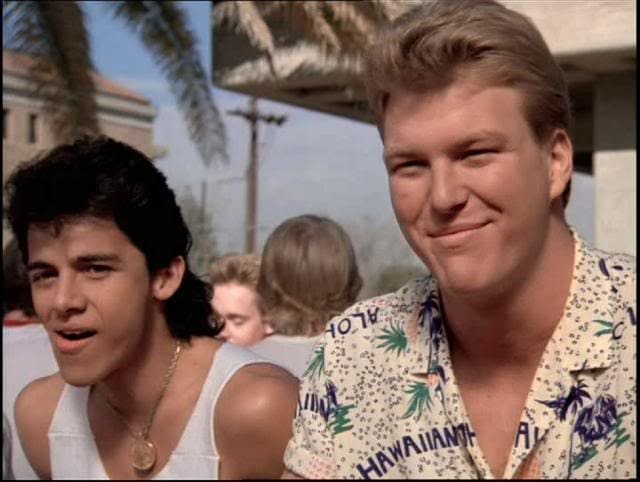 Biff is one of the most well-known film bullies of all times. 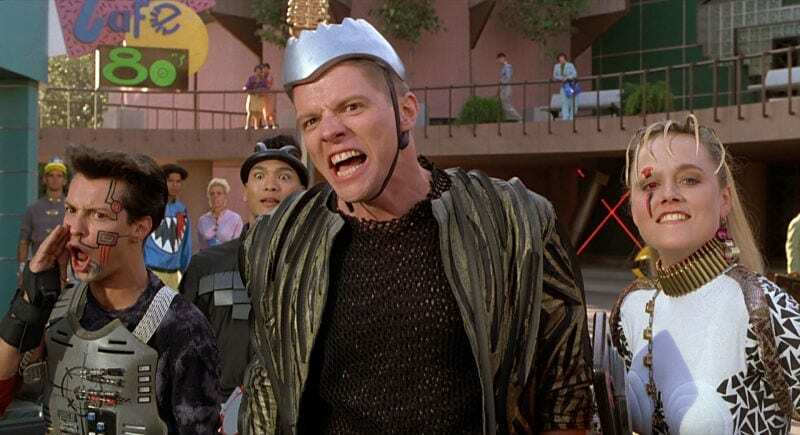 In the 1985 film, Back to the Future, Biff was one giant guy who liked to pick on the smaller and weaker, along with his band of other bullies. Classic. 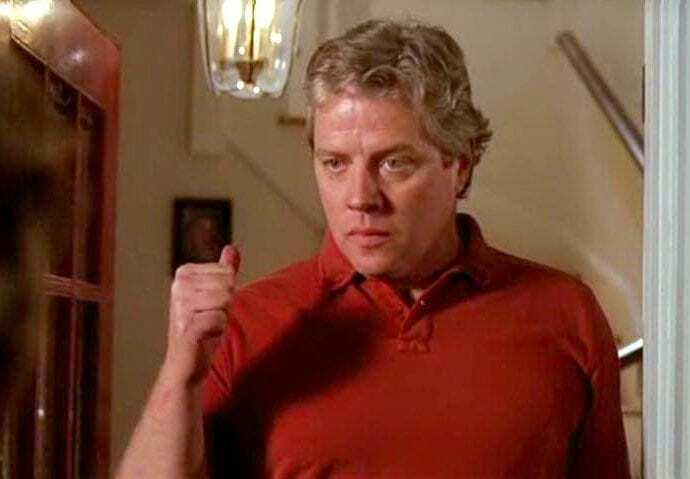 Thomas F. Wilson played Biff back in the day, and has since been in both television shows, video games, and films. He did a lot of voice over work during the years, but has also been on shows like Ghost Whisperer, Mad, and Franklin & Bash. His voice work includes Dragons: Riders of Berk, SpongeBob SquarePants, and Pig Goat Banana Cricket. 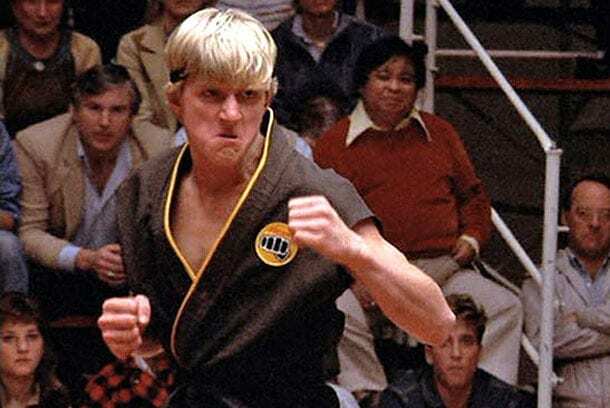 The Karate Kid would not be the same without a bully like, Johnny Lawrence to push the young karate kid himself to greater heights. The character of Johnny was there to push the karate kid down so that he would be the best of the best. If only it worked out that way for him, we were pleased at the end. Since 1984 when the Karate Kid came out, actor William Zabka who played the role of Johnny, has been in shows like Psych, How I Met Your Mother, To Appomattox, Gortimer Gibbon’s Life on Normal Street, and The Man in the Silo. 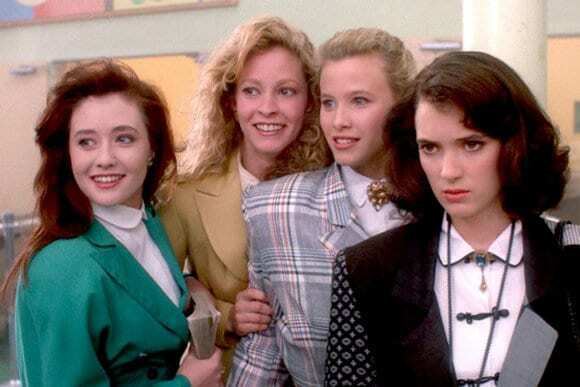 The 1988 film, Heathers, centered around three girls with the name Heather and an additional girl in the clique young women in the high school based film. This Heather is all about planting rumors, and (what the movie is all about) committing murder; so we are talking about a major bully over here. 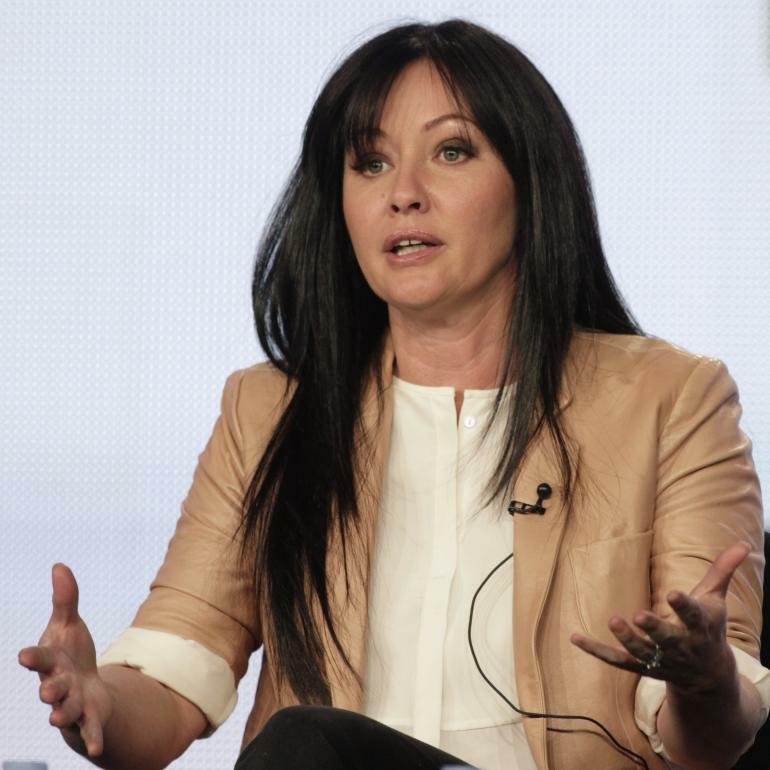 The film stars Winona Ryder as well, but Shannen Doherty takes the Heather cake. Since the film, Shannon has been in plenty of television shows, most notable her role as Prue Halliwell in the show, Charmed. Her other credits include, North Shore, 90210 (the remake), and Mari-Kari. 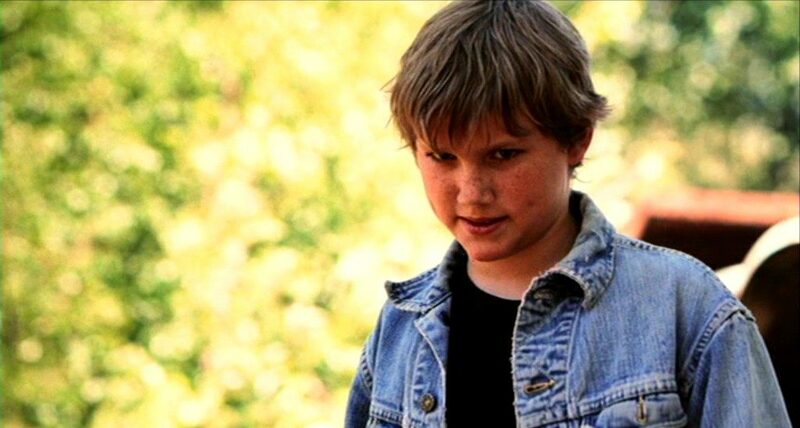 Ace Merrill was the low class bully everyone steered clear from in the 1986 film, Stand By Me. Ace had bleached blonde hair and a cigarette in his mouth at any given moment, and liked to hit mailboxes with his baseball bat, taking care of his car, and threatening younger kids with sharp objects. 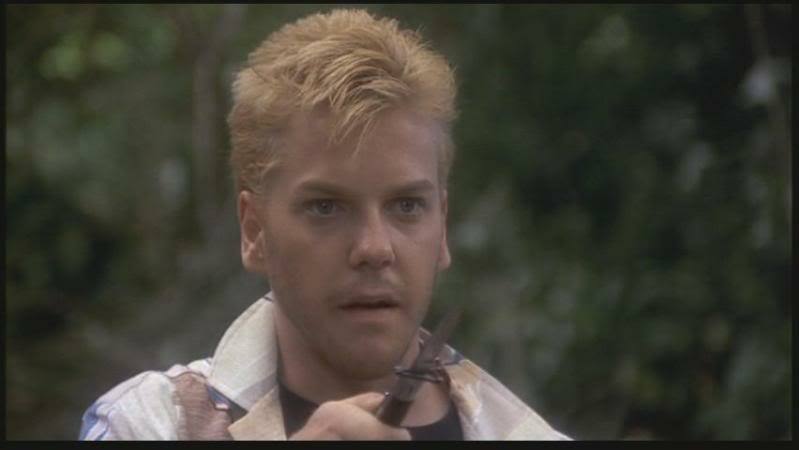 Kiefer Sutherland played the role of Ace, but that was just the beginning of his career. Kiefer comes from an acting family, with his father being actor Donald Sutherland and all. 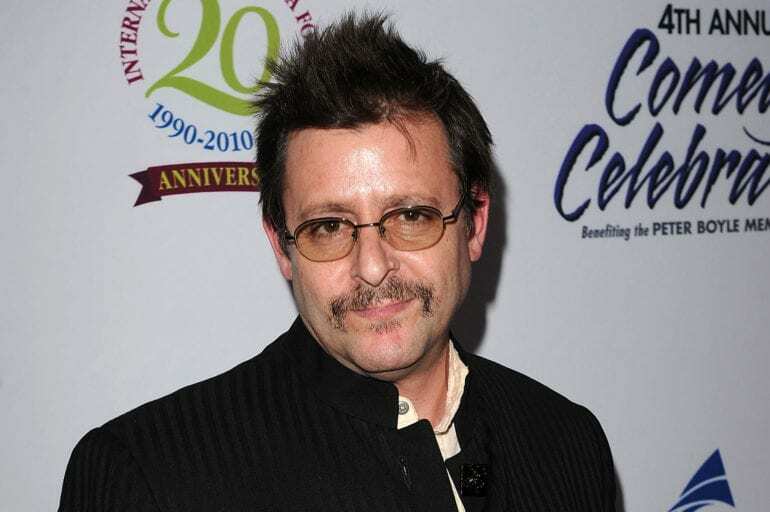 Keifer has sine been in films like, The Lost Boys, the television hit show, 24, Saturday Night Live, Pompeii, Twin Peaks: The Missing Pieces, The Sentinal, and Zoolander 2. Deebo was big, tall, and always had a scowl on his face. He was the bully in the film, Friday, in 1995. 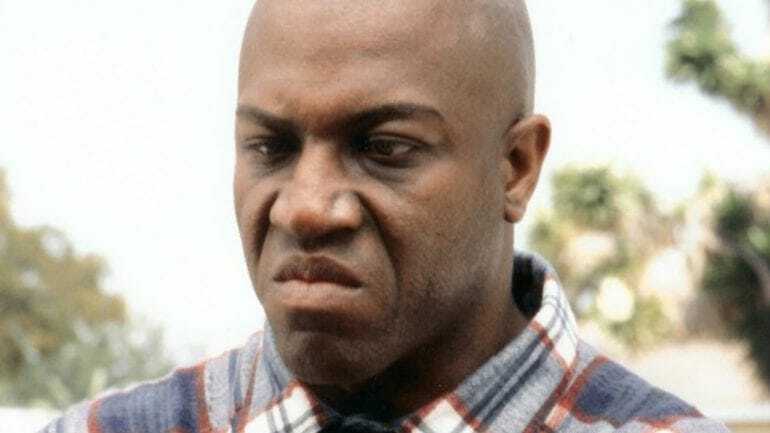 Deebo was the resident drug dealer, who was not about to let anyone ruin his business. Deebo made sure business was running smoothly, no matter who or what came in his way. 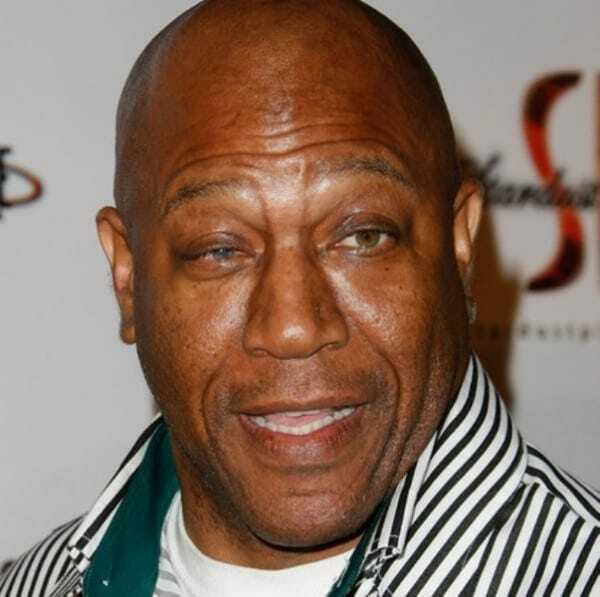 Tommy Lister played the role of Deebo, and we can see why, he fit the bill perfectly. Since then, Tommy has been in films like The Fifth Elements, The Dark Knight, American Justice, The Hustle, Hellborn, and Dracula 3000. When the film itself is called Bully, you know it contains them too. The 2001 film, is based on a horrific true story, of a group of teens who plotted to kill their ‘friend’ who had been an abusive figure in their lives for years. 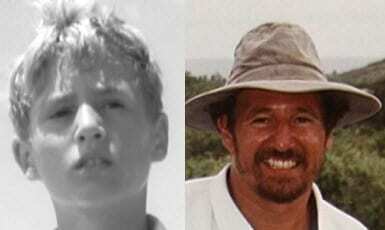 The bully in this case is also the murder victim, Bobby Kent. Bobby was said to have slept with, emotionally and physically abused his friends. 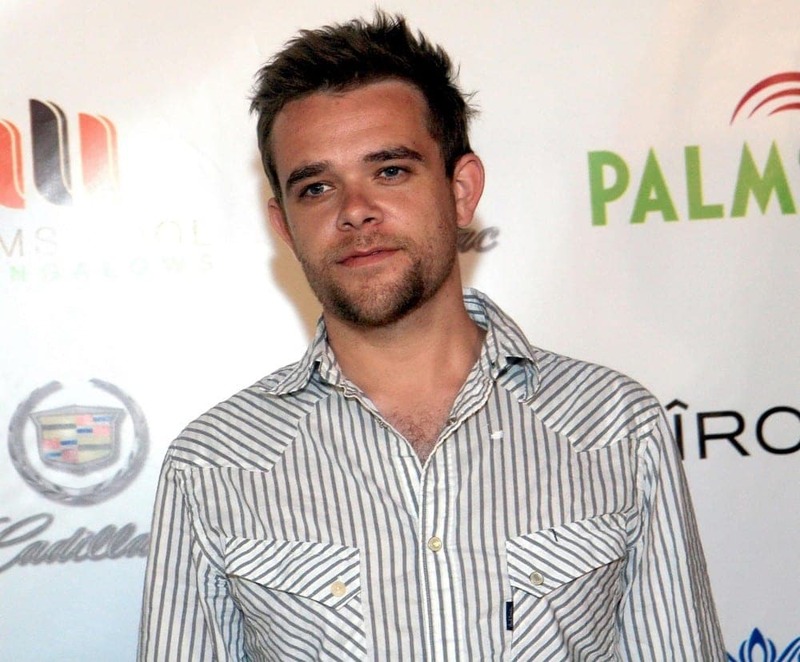 Nick Stahl played the role of Bobby Kent, and since the 2001 film has been busy playing in films like Terminator 3: Rise of the Machines, Sin City, LAw and Order, Burning Palms, House of Lies, and Body of Proof, to name a few. Jack was a villain in a different way. 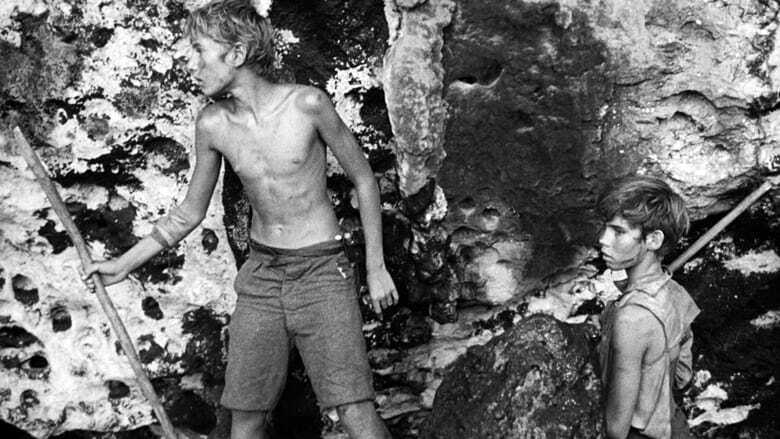 The older of the boy in the 1963 film, Lord of the Flies, and the book adaptation, Jack broke the group of boys into two and let his obsessions get the better of him, so much so that his behavior lead to the death of two castaways. Tom Chapin, in his only acting role, played the role with an understated insanity that only he could have. There is little known about Tom after his stint as Jack, however, his depiction of Jack was thought to have been very deep and profound, giving justice to the book. In the 1976 film, Carrie, there was one girl who made sure Carrie’s life would be even more hellish than it already was, that girl was Chris Hargensen. The popular girl enjoyed making Carrie feel like an outsider, putting her in awkward situations and humiliating her as much as she could. Chris influenced the rest of the school too, making Carrie’s high school experience harder than most. 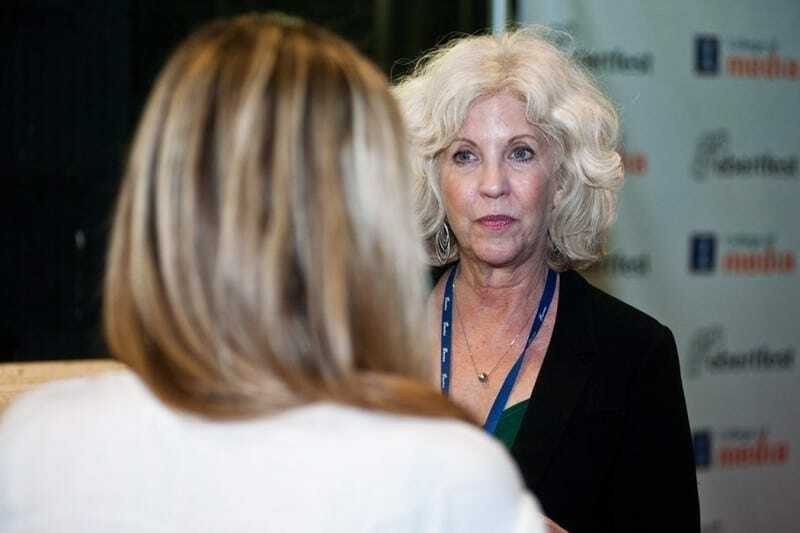 Actress, Nancy Allen, who played the role of Chris, was in films like Dressed to Kill (for which she got a Golden Globe nomination), The Philadelphia Experiment, RoboCop, and Circuit. Emma Small was one mean woman. She had it out for the sweet, Vienna, in the 1954 film, Johnny Guitar. Emma is the head of a gang who makes Vienna’s life miserable by burning down her saloon, and goes after her when she tried to end her life. Talk about girl drama! 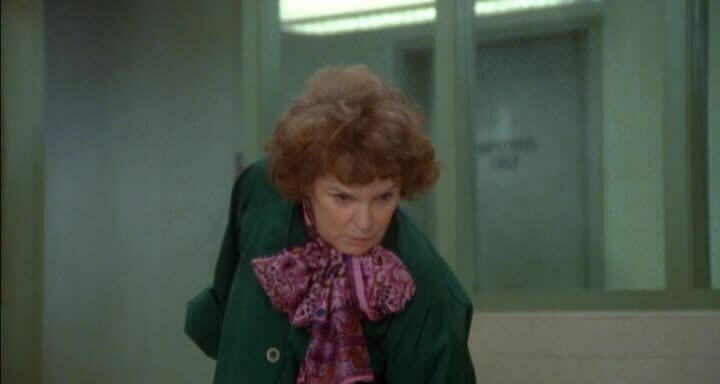 In real life, actress, Mercedes McCambridge and her co-star, Joan Crawford, didn’t get along either (but no one tried to bully another). 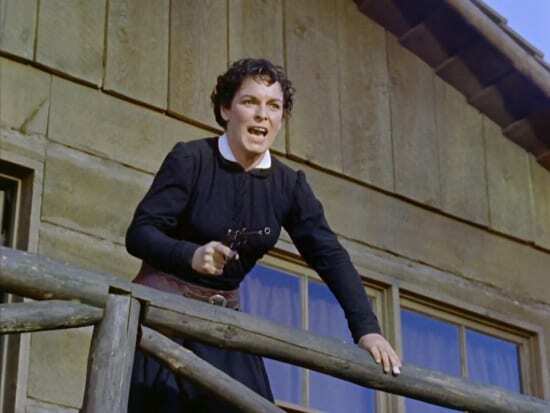 After her role in Johnny Guitar, McCambridge went on to appear in shows like Bonanza, Bewitched, Gunsmoke, the voice of The Exorcist, and Charlie’s Angels. Mercedes passed away in 2004 in La Jolla, California. 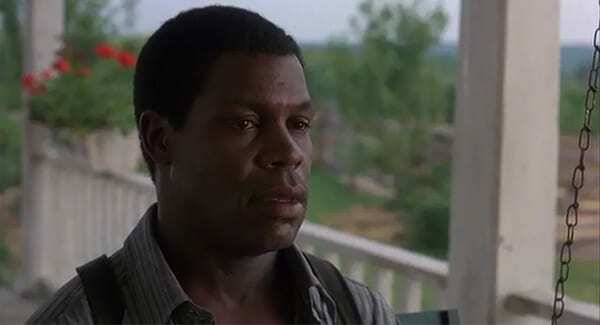 In the 1985 film, The Color Purple, actor Danny Glover plays the role of Mister, a wife beater and child abuser that is enough to make any viewer of this film dislike his character within the first scene. Mister doesn’t get better throughout the film, his behavior bordering sociopathic, endangering those around him. 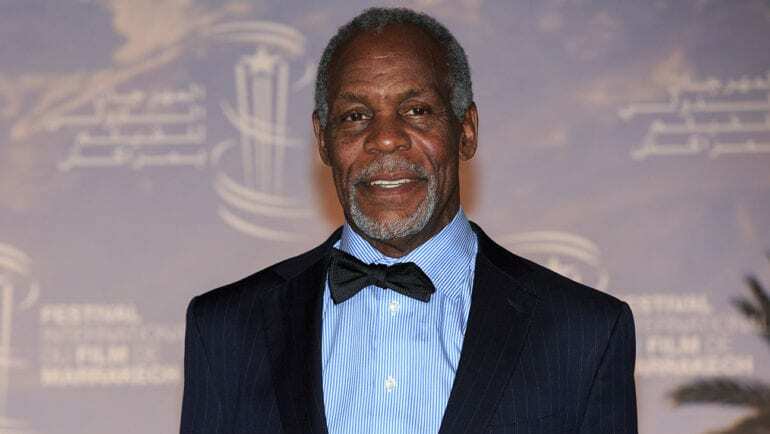 Since 1985, Danny Glover has become one of Hollywood’s most well known actors. He has been in television and film, in such projects as, Dreamgirls, Brothers & Sisters, My Name is Earl, Lethal Weapon, Saw, Shooter, and Criminal Minds. Cal Hockley was the abusive fiancé of Rose, the female lead in the film, Titanic. Hockley was a character that was not only a criminal and businessman, but loved to make sure he was dominating over his fiancé. He was a bully in the full sense of the word, making others fear him. 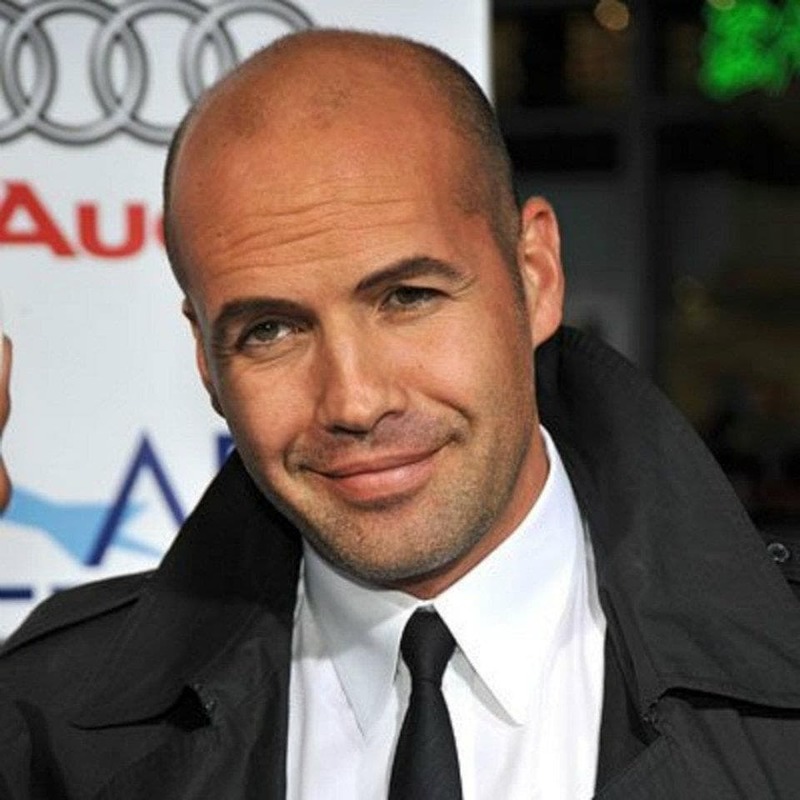 Actor, Billy Zane, played the role of Cal very well, and has since been in films like Zoolander 2, Finding Harmony, Border Run, The Kill Hole, The Scorpion King: Battle for Redemption, and The Confidant. He has been on television show like The Deep End, Samantha Who?, and Charmed. 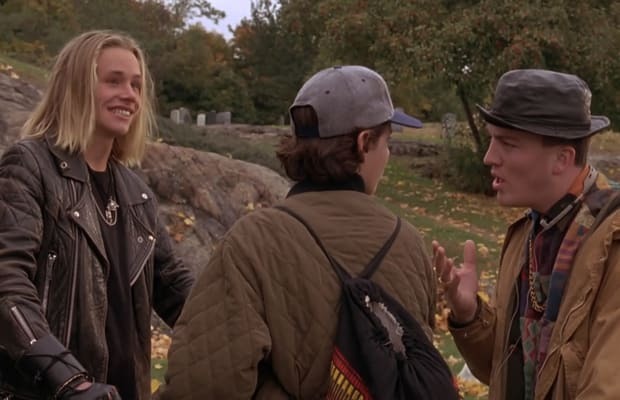 The 1993 film, Hocus Pocus, is all about magic and Halloween, but the bullies in this film are Ice and Jay. Ice and Jay take young Dani Dennison’s Halloween candy, as well as like to pick on her older brother, Max Dennison. Everything changes when the Sanderson sisters, the witches, come back to Salem. 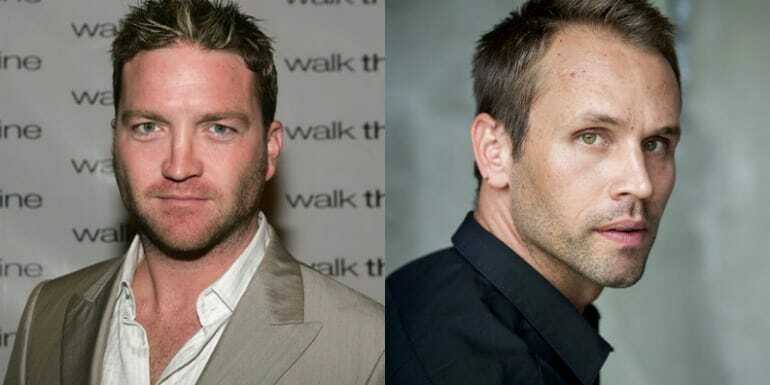 Actors Larry Bagby and Tobias Jelinek have been involved in some very big projects since the film. 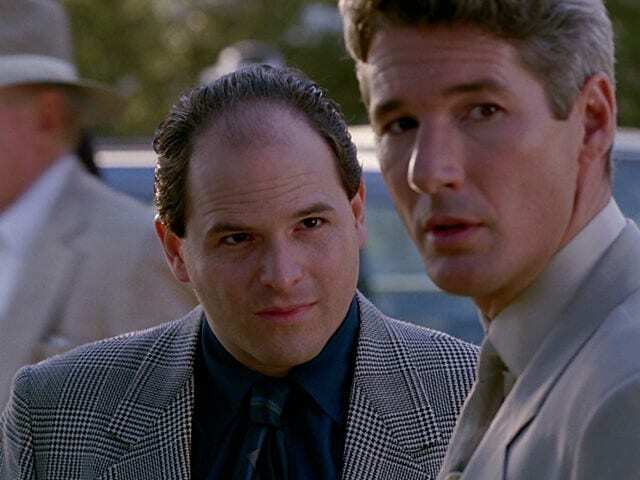 Larry has been in projects like Walk the Line, Saint and Soldiers, NCIS, Ray Donovan, and The Young and the Restless. Tobias has been in projects like, Southland, Shameless, Baskets, and the Netflix hit series, Stranger Things. Courtney Shayne was the most popular and most evil girl in the high school, in the 1999 film, Jawbreaker. Shayne ends up killing her best friend by accident but decides that it’s not that big of a deal and creates a whole new version of a girl who used to be considered nothing in the social circles of the high school, to distract from the fact that the other girl is gone. Rose McGowan, who played Courtney Shayne, has been in a long list of shows and films. Her role in the series, Charmed, put her on the map in the early 2000s. McGowan was also in the film, The Black Dahlia, Elvis, Planet Terror, as well as Quentin Tarantino’s film, Death Proof. The 2010 film, Easy A, is based on a girl who decides to help others out by saying she did romantic thins with them, despite the fact that she didn’t. Now comes in Marianne Bryant, a religious girl who bullies the main protagonist over her indiscretions in their high school. Amanda Bynes plays the role of Marianne, and has been in many films. She was in What a Girl Wants, Robots, She’s the Man, Hairspray, and Living Proof. Her last film was Easy A, actually, since after the film, Bynes’ behavior took a strange turn and she had to be admitted to the hospital under psychiatric evaluation. She has since returned home but has not worked in Hollywood since. Draco Malfoy is the bully of the Harry Potter series (along with Lord Voldemort, of course). He pesters Harry and his friends to no avail throughout the eight films. Only at the very end do we see him for what he truly is, a scared little boy, but until them he is just a classic bully who runs away from a real fight. Actor, Tom Felton played the role of Draco from 2001 until 2011. In between he did work on other ventures but not many. After Harry Potter, Felton went on to appear in films like, Rise of the Planet of the Apes, In Secret, Belle, and Risen. 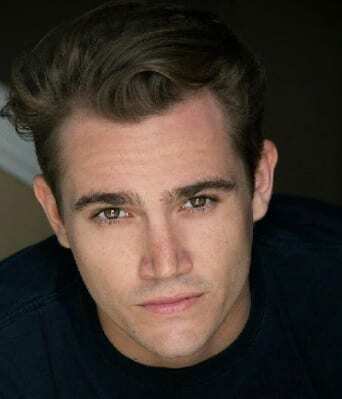 Most recently he has been on the television show, The Flash. We all love the film, Pretty Woman. The 1990 film is a feel good movie with an out-there storyline for the time. Edward and Vivian are the main characters, but Edward’s best friend and business partner, Philip Stuckey is the bully of the film. He bullies Vivian into thinking she really is nothing more than a prostitute in Edward’s life, which we all know to be a lie. 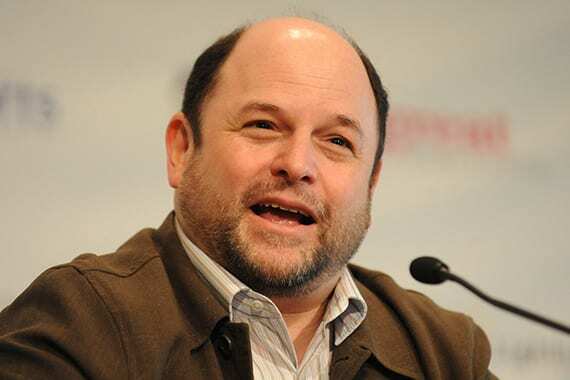 Jason Alexander, who played Philip, is more well known for his role as George on the show, Seinfeld. He has also been in television shows like, Dilbert, Bob Patterson, Listen Up, Everybody Hates Chris, Curb Your Enthusiasm, Clipaholics, The Grinder, and TripTank. Cruel Intentions was a mind blowing movie in terms of the issues it brought up. The 1999 film starred Sarah Michelle Gellar as Kathryn Merteuil, the evil half sister who was in love with her half brother, who did cocaine on a daily basis and liked to ruin other people’s reputation and life, especially socially. Sarah Michelle Gellar was filming the show, Buffy the Vampire Slayer, while the movie was also released. She went on to be in projects like, The Grudge, The Return, Possession, All My Children, Ringer, The Crazy Ones, and most recently, the remake of Cruel Intentions into a tv movie. In 2005, Jane Fonda played the role of the terrible mother in law, Viola Fields, in the film, Monster-In-Law. Her character treated her soon to be daughter with an awful attitude and did whatever she could to brea her and her son up. Eventually things sorted themselves out, but not before Viola almost kills her son’s fiancé. Jane Fonda has been in Hollywood longer than most people, but since her role in Monster-In-Law, she hasn’t slowed down a smidge! She was in the film, Georgia Rule, All Together, The Butler, This is Where I Leave You, Youth, (for which she was nominated for a golden Globe), and most recently, Fathers and Daughters. Becky Ann Leeman is one of the many women vying for the crown in a beauty pageant. Becky is the daughter of one of the richest men in town and stops at nothing to make sure that she wins that pageant, stopping at nothing, not even death, to get the task done. Denise Richards plays the role of Becky, and she fit the bill exactly for it. 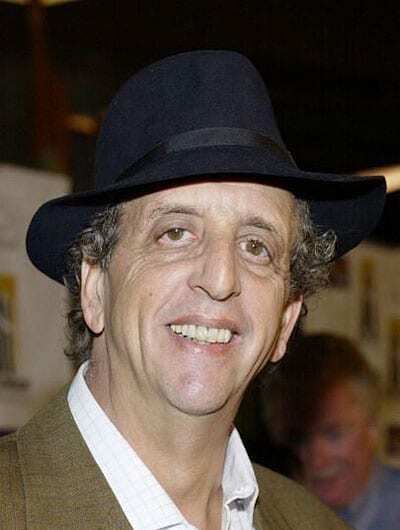 Richards has since been involved in a long list of projects, such as, Spin City, Love Actually, Scary Movie 3, Two and a Half Men (with ex-husband Charlie Sheen), 90210, Twisted, Jane the Virgin, and American Violence. Amanda Buckman was the wholesome blonde haired young woman who met the youngest Addam’s children at the camp they were sent to in the film, the Addams Family Values. She picked at the two youngsters for being different, despite the fact that the two didn’t care. Ultimately she get the Wednesday and Pugsley sent to the cabin of happiness and in return they staged a coup on the Thanksgiving play. Mercedes McNab played the role of Amanda back in 1993. Since then she has been on television shows like Buffy the Vampire Slayer, Angel, Dawson’s Creek, Criminal Minds, and Supernatural. Amongst her many movies, Lindsay Lohan also played a twin in the 1998 film, The Parent Trap. The twin girls who have been separated years before, are trying to get their biological parents back together. Along the way they are also trying to get their dad to separate from the evil new fiancé who only wants to marry him for his money, played by Elaine Hendrix. She, obviosuly, is not pleased with the situation and acts accordingly. 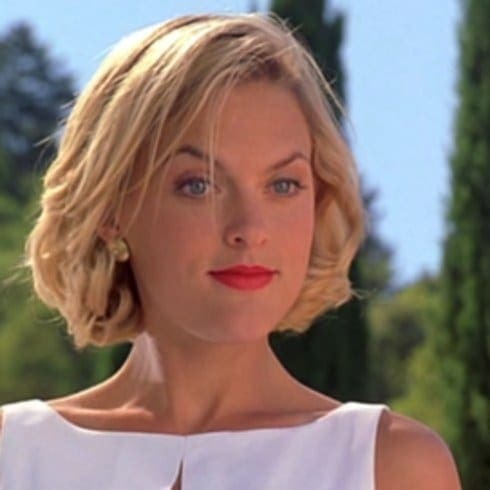 We chose Meredith Blake’s character to be included on our list because any time a grown up is portrayed picking on young girls, no matter what the circumstances are, it’s a good enough reason for including them. Ever since her role on The Parent Trap, Elaine has been a very busy actress, especially on television. She is also a big animal activist and has been traveling the world in order to promote animal rescue and adoption. Just by the name of the movie she starred in, Odd Girl Out, it’s easy to guess that there will be some sort of bullying, especially when it comes to a teen movie. Elizabeth Rice played the role of Nikki in the 2005 film, the main bully who, due to her jealousy gets Vanessa kicked out of social and class activities. The 31 year old actress who has mostly been on television, has appeared on shows such as Close to Home, Mad Men and CSI: Crime Scene Investigation. He latest film work was the Faith of Anna Waters. 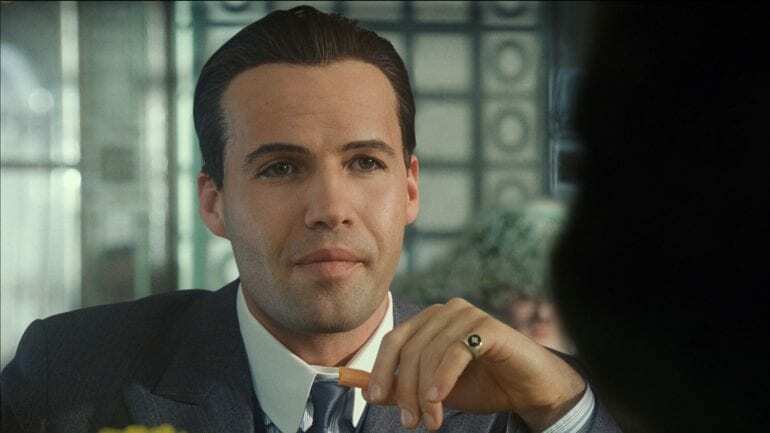 Jesse James played the fourteen year old version of Tommy Miller, Kayleigh Miller’s sadistic brother in the psychological thriller film, The Butterfly Effect. In one of the worst and most uncomfortable scenes in the movie, Tommy burns Ashton Kutcher’s dog alive. This scene is one of the hardest to watch and despite the fact that he was a relatively young boy and his actions were due to his harsh past, any type of bullying, whether it’s towards humans or animals, is simply unacceptable. 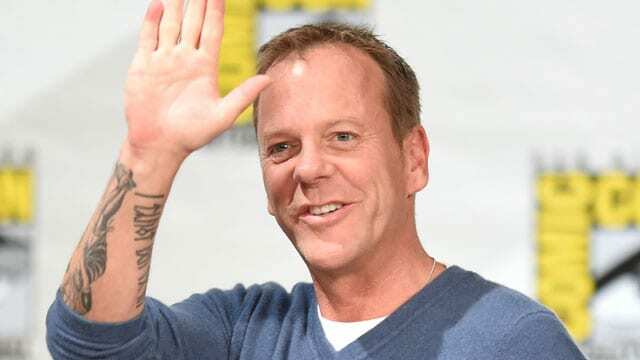 James, who started his acting career in the Oscar nominated film As Good as it Gets, has continued his Hollywood career in a couple of more high-profile movies. Let’s ignore the fact that we’re talking about the 1987 film that features Patrick Dempsey! who played the nerdy character, because our list has to do with bullies. Can’t Buy Me Love was a classic eighties romantic teen film, and Eric Bruskotter played Big John, the popular guy who used to tease Patrick Dempsey’s character. That was until things changed around. The 50 year old has continued to appear in relatively low-budget films and has made a couple of appearances on shows like 23 and Glee. Everybody fell in love with the heart-wrenching love story between Patrick Swayze and Demi Moore in the 1990 romantic thriller, Ghost, however fans were less fond of the Subway Ghost, who haunted Swayze’s ghost character when he dies in the movie. Although it was a ghost, it still had the same intimidating characteristics of any other human being. Spooky. The busy actor, sadly died at the age of 57 after he had suffered from lung cancer. There were even a couple of documentaries that were about Schiavelli and his Sicilian-American life. 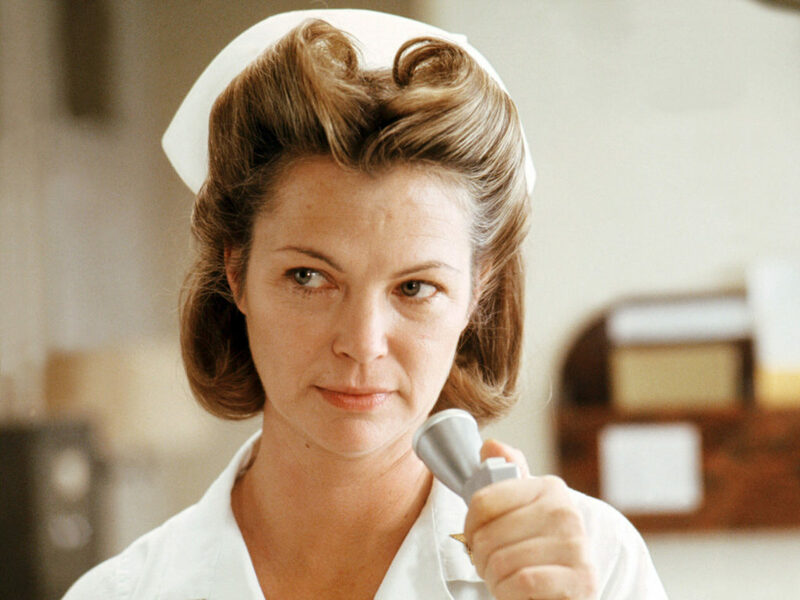 In an outstanding performance which also won her an Academy Award for Best Actress among other important awards, Louise Fletcher played the cold-hearted nurse in the amazing 1975 film, One Flew Over the Cuckoo’s Nest. In act, her portrayal as the antagonist was even enlisted as one of the greatest villain in the history of film. The 82 year old actress has managed to wash that malicious type cast after she has been part of an endless amount of films and television shows since her groundbreaking performance. Hall was cast as the villain on Tim Burton’s classic 1990 film, Edward Scissorhands where he played the role of Jim, Kim’s ex-boyfriend. Jim takes advantage of Edward’s gifted talent and uses him and attacks him with his jealous temper. 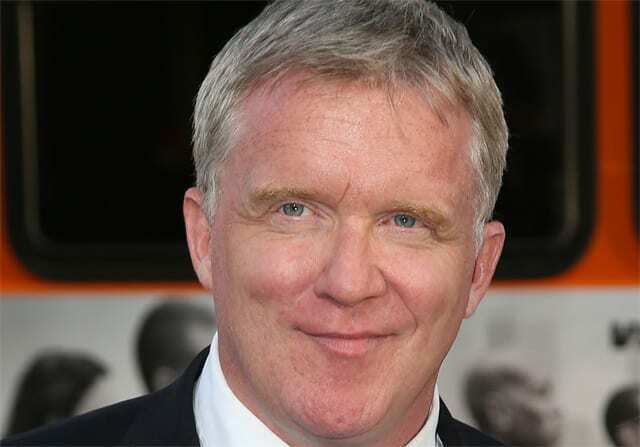 Anthony Michael Hall has tried to avoid a specific typecast and has chosen very diverse roles throughout his career, including joining the funny cast of Saturday Night Live between 1985 to 1986. Bill Paxton played the role of Chet Donnelly in the 1985 film, Weird Science. Chet is the evil older brother we all feared or glad we didn’t have. Chet liked to play mean jokes and basically make Wyatt and Gary’s lives much harder than they needed to be. 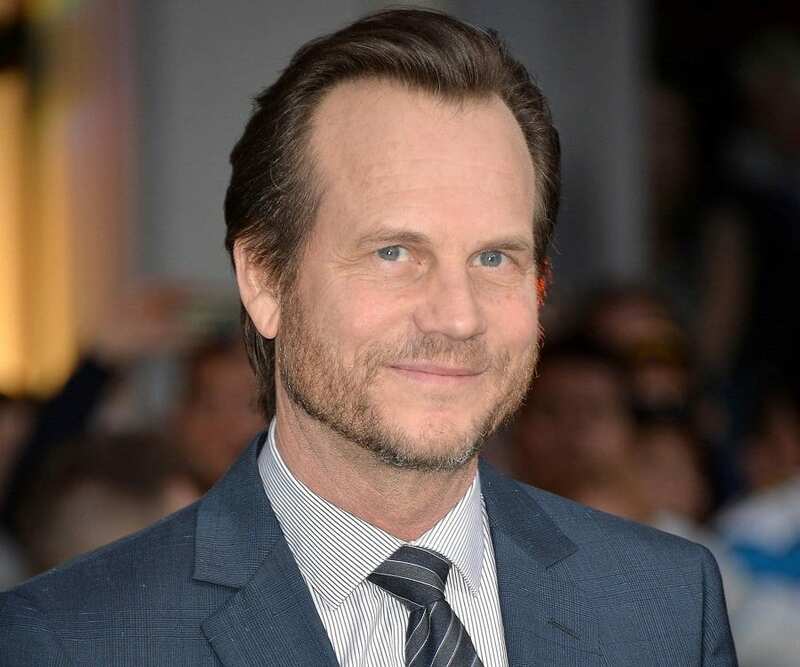 Bill Paxton’s role as Chet was thought to be some of his best work, but Paxton went on to do even greater work. He played major parts in critically acclaimed hit films, like Apollo 13, Aliens, and Titanic, to name a few. In a shocking and saddening twist of events, Paxton passed away at the age of 61 in February due to complications during an operation. Ah, Regina George, she is probably the worst bully on this list. The character of Regina George dictated how her entire high school was run and made sure she had the run of the campus and home. She liked to make people feel little and take them down so she could feel powerful herself. Actress Rachel McAdams, who wasn’t even high school age at the time, but closer to 30, played the role of Regina perfectly. Since then she has been in films like The Notebook, The Family Stone, The Time Traveler’s Wife, Sherlock Holmes, About Time, and Spotlight; as well as television shows like True Detective. Lana Thomas was the beautiful high school cheerleader you loved to hate. She treated the main protagonist in the film, The Princess Diaries, with such disdain that it was hard to watch at times. In a classic teenage film, when the main character moved up in the world, i.e. becoming a princess, Lana wanted to come up with her, choosing to humiliate her during a beach outing instead. Mandy Moore, who played and sang in the role of Lana, is now a full fledged Hollywood actress with credits like Because I Said So, License to Wed, and the voice of Rapunzel in Tangled. Most recently Moore has been starring in the hit series, This Is Us, as the matriarch of the family.